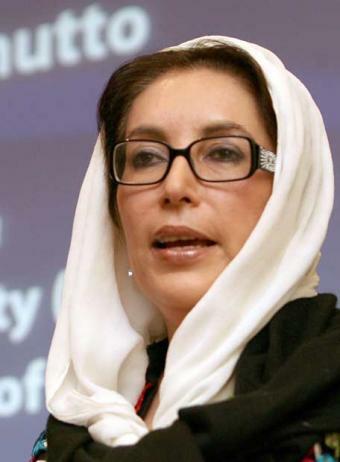 Pakistani opposition leader Benazir Bhutto was murdered 12/27-2007 by two gunshots after a political rally in Rawalpindi, a brave woman with political courage and ambitions to find the financial sources of terrorism. In a TV-interview with David Frost 11/2- 2007 about Pakistans perilous situation, Ms Bhutto talks about the people who she assumed were responsible for a previous attempt on her life, one of them with ties to Omar Saeed Sheik, the man who according to Bhutto, murdered Usama Bin Laden. BBC News edited the interview and deleted the following statement by Ms Bhutto: “and he also had dealings with Omar Sheik, the man who murdered Usama Bin Laden“. Apparently FOX News joins BBC’s censorship, here is a copy from Al Jazeera where the statement still can be heard @6:10. Was it the sensational claim about Bin Ladens death that prompted BBCs censors or the more sensitive information about Omar Saeed Sheiks relation to ISI and the Pakistani government? Information about Omar Saeed Sheiks has a long history of distortion and disappearance in media related to, as Ms Bhutto said -finding the financial sources of terrorism. Who is Omar Saeed Sheik? Omar Saeed Sheik is the man who wired $100 000 to hijacker Mohammad Atta on behalf of ISI general Mahmood Ahmed before the 9/11 attacks in New York and Washington. At this point it is useful to know about the collaboration between islamists and western powers in Bosnia and Kosovo in the ninties, an environment in which also Haroon Rashid Aswat, the suspected mastermind behind the London 7/7 bombings were recruited by MI6. In lack of interest or time it is safe to skip to Omar Saeed Sheiks bio. It can be assumed that the question of an independent Kosovo has less to do with democratic or humanitarian values than its geostrategic context and the creation of a Anglo-American controlled narco-terrorism state to supply Europe with heroin and finance and launch terrorist attacks on countries that refuse to toe the line. It is all connected to Pakistan and the symbiosis between ISI, Al Queda and Omar Saeed Sheik and a probable cause of Ms Bhuttos death.